Internships at Jiwa Damai are a special experience. Our interns are invited to really live the difference. The focus is a personal growth process offering people an in-depth learning on several levels: personal inner growth, conceiving, designing and implementing their own project, cross cultural interaction with a very different Hindu culture, as well as with our international interns form all around the world. In addition to the personalized support, we offer daily morning yoga classes and evening Heart meditation. Each intern designs his/her individual project with supervision and based on the aforementioned in-depth learning. The internship can cover a wide range of topics. See more about topics, application procedure and more details here. We talked to Marie Thimm our intern from Germany about her experience. It was not really an interview but more of a discussion about her project and about how she lived the difference at Jiwa Damai. I wanted to make a change; I wanted a shift in my work path. 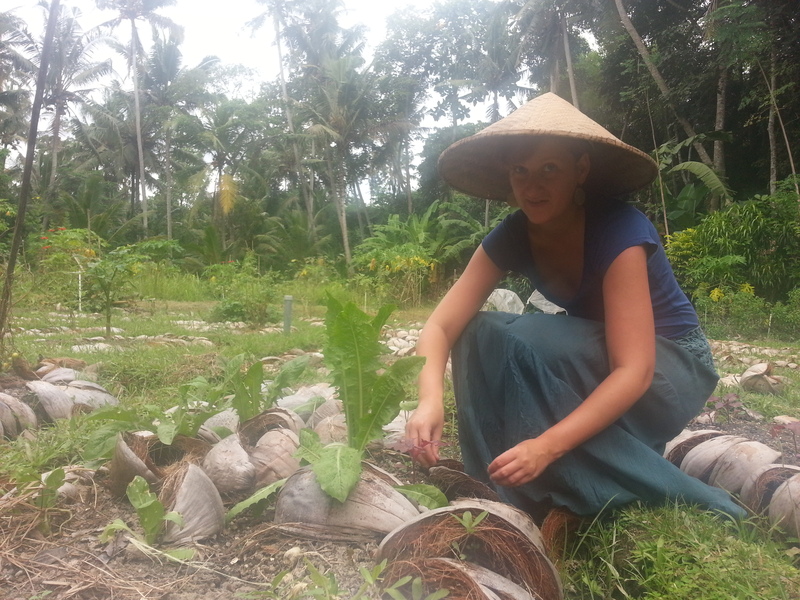 Jiwa Damai attracted me because of its variety: a place to do an internship, a permaculture farm, a retreat, the Lagu Damai Foundation and also the work of Dr. Margret Rueffler– the peace psychology. I wanted to experience it and see how they were all working together, how they are inter-connected. I was also very much interested in foundations because I didn’t want to work in money making oriented companies but in places that take care of the surrounding: be it the nature, the community or the planet, in general. It was already dark when I arrived at Jiwa Damai but from the very first moment it felt like being in an oasis. When one comes from Denpasar, with all that terrible traffic Jiwa Damai unfolds like a peaceful and beautiful oasis.